Although summer will forever be my favorite season, I love being able to bring out my fall clothes. 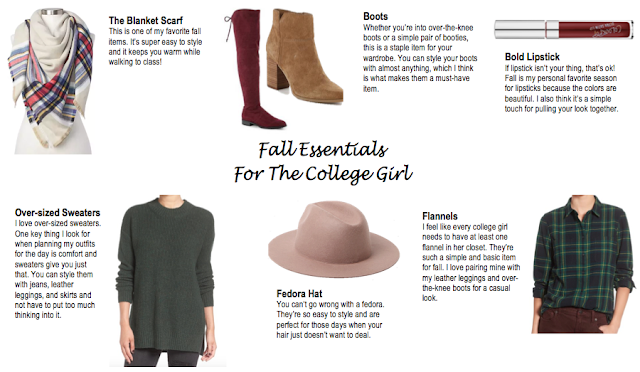 There are so many options when it comes to styling your fall items which makes getting dressed in the morning fun (even if you're up at 6 am.) 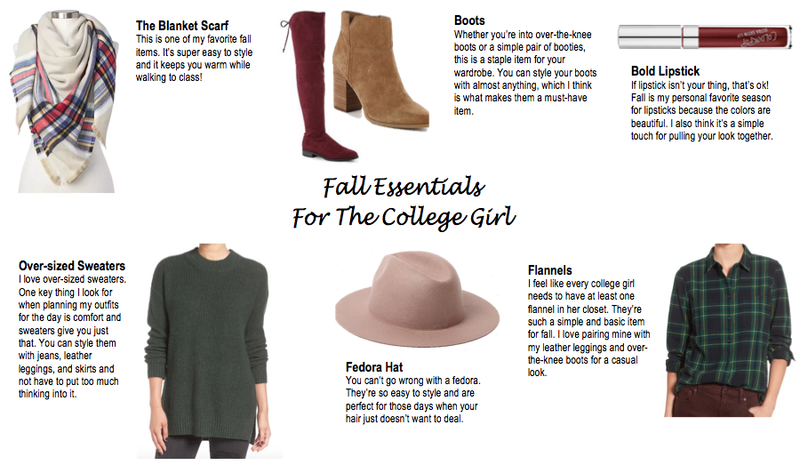 Above I decided to share some of my favorite fall items that I think every college girl should have in her closet. All of these pieces are under $100 and some are currently on sale!